In 1557 the first written record of sweet maple sap from North American trees was made by Andre Thevet, but it was a staple of Native American diet and medicine long before then. 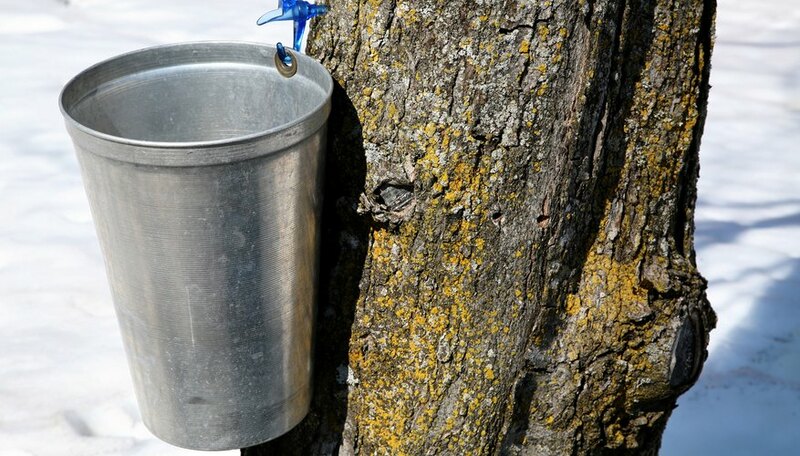 Sugaring begins with a tree tapped for syrup that is collected and slowly boiled down to a sweet brown syrup or candy. Maple syrup can be made in a kitchen following simple instructions and avoiding the pitfalls. Identify the maple trees in the fall by their leaves. Use sugar maple or hard or rock maple as the names are the same. Do not use soft or red maples as they produce a gummy sap. Trees must be at least 10" in diameter. Add an extra bucket for every 8" in diameter. 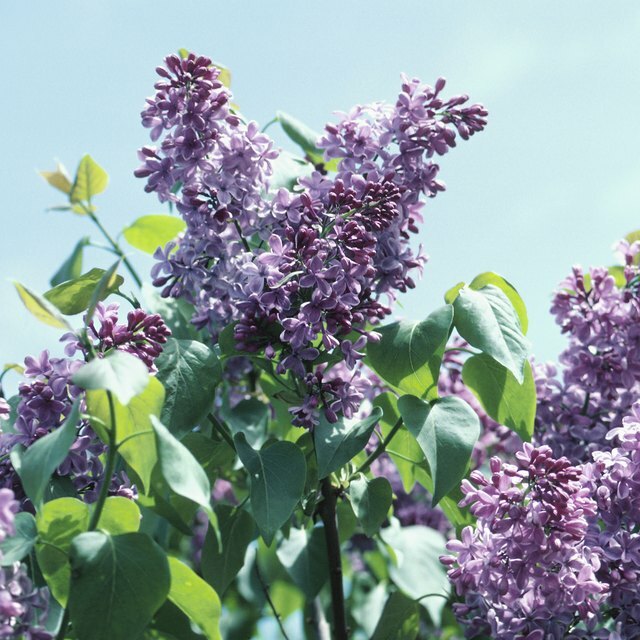 Find trees with lots of branches to produce the most sap. Use one container per tap hole. A plastic one-gallon milk container works fine. Hardware stores carry plumbing supplies. Find one foot plastic water supply tubes for sink or toilet. They work great as spouts. Simply drill a hole the diameter of the tube three inches into the tree and tap in place. Cut an "X" into the plastic container and slip it onto the beveled end of the tube. The best time to check the sap containers is when you have a cold night and a warm day above freezing. Collect sap and replace container with another. Bring sap home and refrigerate until you have time to start your evaporation. It is a good idea not to call attention to your collecting activities. Pranksters may upset your routine. One overzealous fellow added pure maple syrup to a sap collecting container. It became the subject of a good laugh. Another time a local agricultural agent was concerned about a tap in a large sugar maple tree. He thought the sap loss would "stress" the tree. A large pot and a thermometer that measures to a minimum of 220 degrees Fahrenheit is required to boil off your sap. Fill your pot half full with sap. Bring to a boil and add fresh sap every half hour. Filter hot syrup through cheese cloth into a second pan, when it reaches a temperature of 218 degrees Fahrenheit. Immediately transfer the hot syrup to storage containers and seal. The boiling process will take long time with just one pot. Keep in mind that it takes 32 gallons of sap to give you one gallon of syrup. You can use more pots to speed the evaporation along. Make sure you have an outlet for the moisture. Also you can use less sap and make a weaker pancake or waffle mix. Taste it to check for sweetness. See how the color changes from light to amber to dark. Boil some down to maple candy. Writing from his Cape Cod home alcove, Thomas Edward won American Express' National Humor Contest and wrote "Stern's Reminder," a nautical fiction, in 1999. His first professional publication in 2005, "My Fathers Who Art in Heaven," was followed by short stories in New England One magazine. Edward holds an M.S. in civil (environmental) engineering from the University of Cincinnati. Edward, Thomas. "Homemade Maple Syrup Taps." Sciencing, https://sciencing.com/homemade-maple-syrup-taps-5854810.html. 24 April 2017.